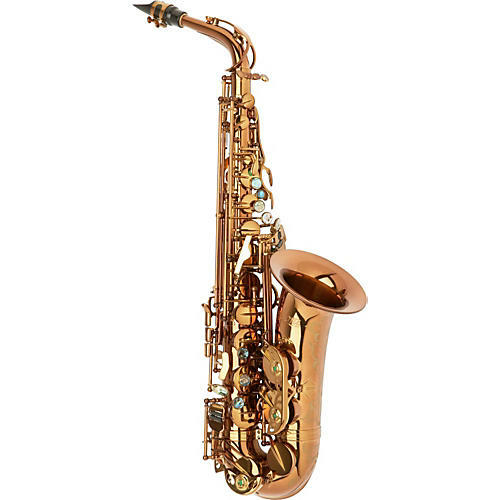 The Chicago Jazz Alto Saxophone is a pro quality horn that features ribbed construction, Pisoni pads, floral engraving on bell and bow, with high F# note, double arms on low C, B, Bb, and an 85% red brass body with a champagne finish. Includes a PSB carrying case. Every Allora saxophone is subjected to an exclusive play test and shop check to ensure you of a great playing horn.